Firefighters assist residents out of a three-story building through back windows after a deck collapsed Saturday morning. 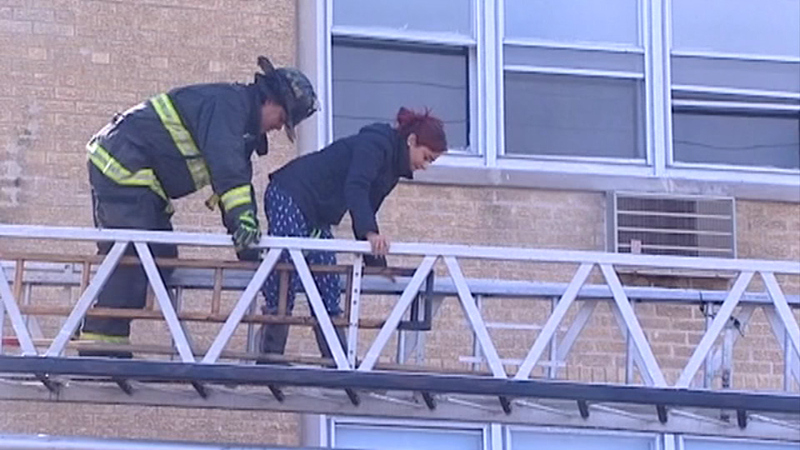 CHICAGO (WLS) -- A man was injured after the decks collapsed in a three-story building late Saturday morning at an apartment complex in the city's West Ridge neighborhood. The 60-year-old man was taken to an Evanston Hospital in stable condition with non-life threatening injuries. Firefighters had to assist other residents in the 6300-block of North Albany out of the building through back windows. The cause of the collapse is under investigation.